Elbow anatomy, computer artwork. The humerus bones (upper arm bones) are at top. There are two lower arm bones. The larger of the two is the ulna, the smaller bone is the radius. 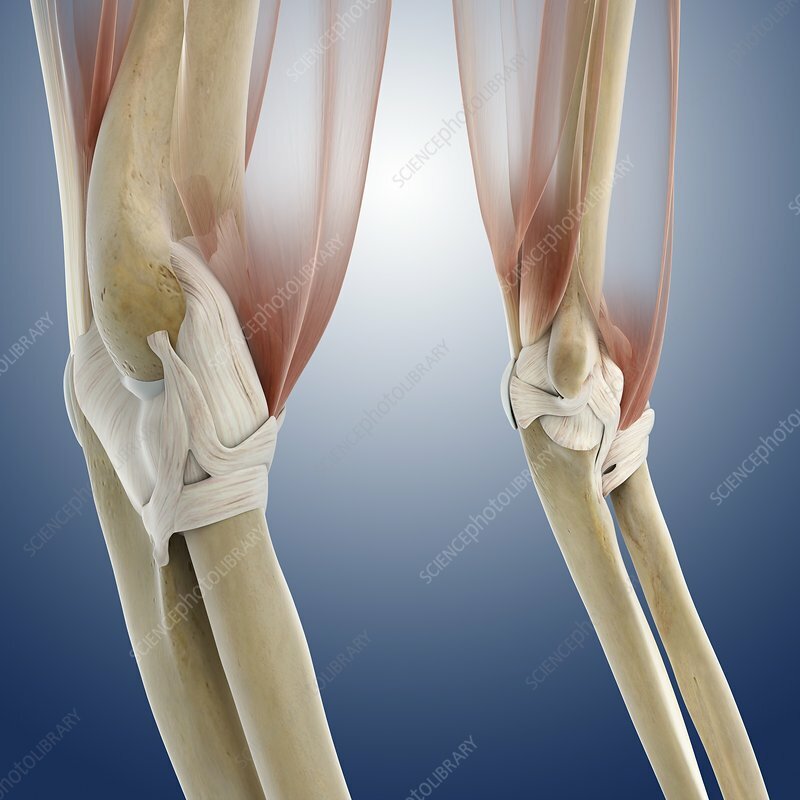 Ligaments (cream) are bands of fibrous connective tissue that attach bone to bone. The lower ligament at left is the annular ligament, which attaches the radius to the ulna. At left the ligament on the inside of the elbow is the ulnar medial collateral ligament. The V-shaped ligament at right is the ulnar lateral collateral ligament. Both these ligaments attach the ulna to the humerus. The muscles at the front of the humerus are the biceps, the triceps are at the back.